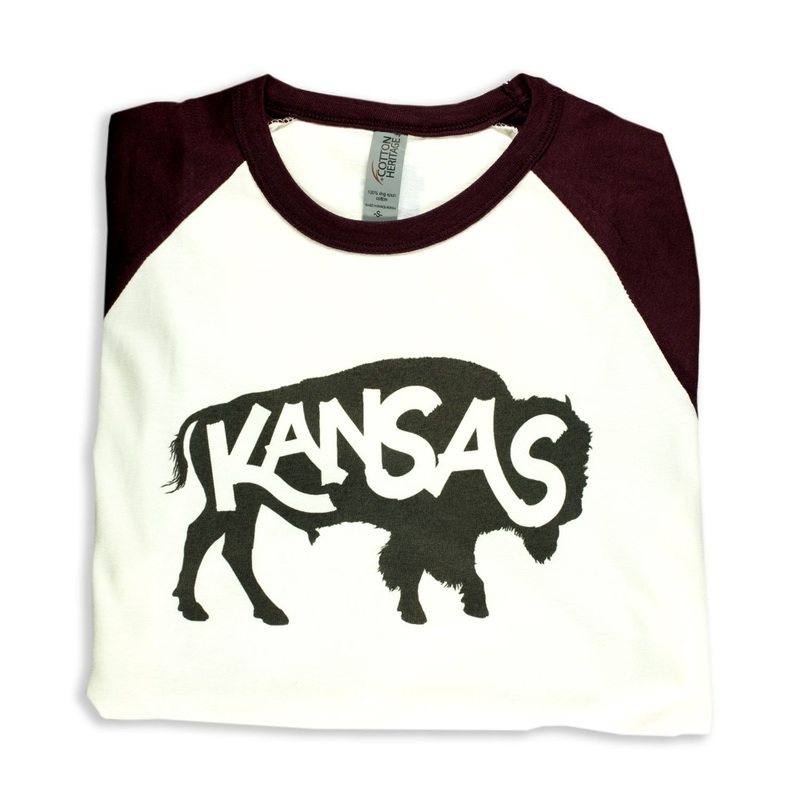 This white and wine colored 3/4 length sleeve baseball tee is the perfect Kansas shirt for any Kansan. Shirt is 100% ring spun cotton. Printed by Tradepost Entertainment of Topeka, KS.